Meet the State of Connecticut Requirements and Start e-Prescribing Today! 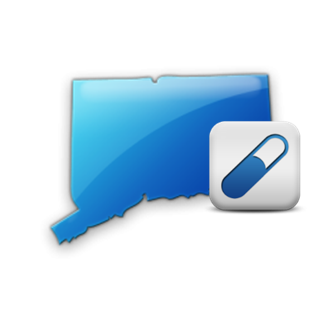 As of January 1, 2018 the State of Connecticut mandates controlled substance prescriptions be sent electronically. To combat prescription drug abuse, MDToolbox recommends that all prescriptions be sent electronically. MDToolbox is an approved vendor in Connecticut and our e-Prescribing software, MDToolbox-Rx, meets all of the requirements for e-Prescribing and EPCS. Prescribers in Connecticut must electronically prescribe controlled substances by January 1, 2018. The law proposed by Governor Dannel Malloy was passed in June 2017 in an effort to combat opioid abuse and addiction. The Connecticut Prescription Monitoring and Reporting System (CPMRS) collects prescription data for all Schedule II through Schedule V drugs dispensed in Connecticut daily. Prescribers who have a Connecticut Controlled Substance (CSP) Registration issued by the State of Connecticut, Department of Consumer Protection, are required to register as a user with the CPMRS. Prescribers are required to review a pateint's record in the CPMRS at least every 90 days if they prescribe greater than a 72-hour supply of any controlled substance. However, if they prescribe greater than a 72-hour supply of any Schedule V nonnarcotic controlled substance, prescribers are required to review the patient's record in the CPMRS at least annually. Participates in NABP PMP InterConnect, allowing them to share PMP data across many other states.